We are an international online shop being in the lead of vogue always offer the high quality, and best service to all our esteemed customers. Guarantee:If it is the quality issue,you can ask change or get refund;if any damaged or wrong items received,please contact us and attach some pictures about problem,we will promptly help you to handle the issue. Caution:The size just for reference ,1-3 cm measurements tolerance may be possible,please check your measurements to make sure the item fits before ordering,thanks for your cooperation. The clothing of SSLR is very known for quality,simplicity and delicate. We have the desire that makes the fashion trend more efficient and easy going. That's how we change the world. We combine British style with European,American and Korea fashion well, and strive to make perfect blend of colors, materials and design. Hope you will like our work. Full elastic waist band, drawstring. 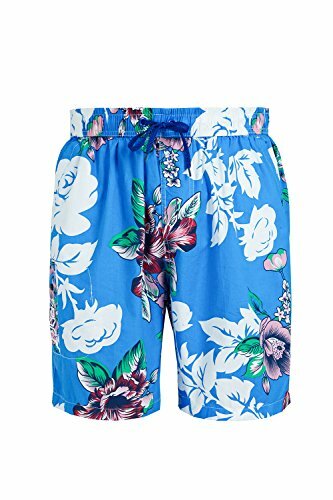 It's good for your swimwear collection Perfect for diving, swimming, beach, sunbathe and etc. 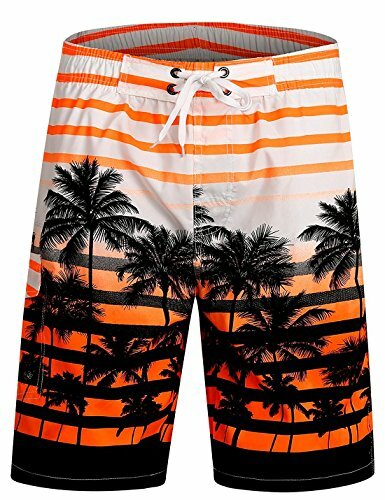 Men's Casual Printed Beach Board Shorts Hawaiian Quick Dry Swim Trunks with Mesh Lining ITEM SPECIFICS Fit: Loose fit Pattern: Coconut Tree, Geometry Pattern, Letters Print Style: Fashion and Casual Wash Care: We suggest to hang on in the shade after wash, don't expose it to the sun Size Details: 1 inch=2.54cm US 28: Waist 28", Hip 35", Inseam 10" US 30: Waist 30", Hip 37", Inseam 10" US 32: Waist 32", Hip 39", Inseam 10" US 34: Waist 34", Hip 41", Inseam 10" US 36: Waist 36", Hip 43", Inseam 10" US 38: Waist 38", Hip 45", Inseam 10" US 40: Waist 40", Hip 47", Inseam 10" US 42: Waist 42", Hip 49", Inseam 10" US 44: Waist 44", Hip 51", Inseam 10" Attention & Tips: Please kindly measure your specific size before you place an order to get a fit Board Shorts. Please allow 1-2cm(0.4 inch) differs due to manual measurement. Thanks. As different computers display colors differently, the color of the actual item may vary slightly from the above images. We strive to make our colors as accurate as possible. Size Chart M(28-29):---Waist(29.5")---Hips:41.7"---Thigh:20.5"---Length:19.7" L(29-30):---Waist(31.1")---Hips:43.3"---Thigh:21.3"---Length:20.1" XL(30-32):--Waist(32.7")---Hips:44.9"---Thigh:22.1"---Length:20.5" 2XL(32-34):-Waist(34.3")---Hips:46.5"---Thigh:22.8"---Length:20.9" 3XL(34-36):-Waist(35.8")---Hips:48.0"---Thigh:23.6"---Length:21.3" 4XL(36-38):-Waist(37.4")---Hips:49.6"---Thigh:24.4"---Length:21.7" 5XL(38-40):-Waist(39.0")---Hips:51.2"---Thigh:25.2"---Length:22.1" 6XL(40-42):-Waist(40.6")---Hips:52.8"---Thigh:26.0"---Length:22.4" Package included:1* Men's Board Shorts (Accessories not included) Notes: color differences allowed for light effects. Your satisfaction are very important for us.We strive to offer you the best value and service possible.Please let me know if you have any issue about our products,our team will provide best service to you. Please Contact us if you have any questions or need any help!We will provide the best service to you in 12 hours. The clothing of SSLR is very known for quality,simplicity and delicate. We have the desire that makes the fashion trend more efficient and easy going. That's how we change the world. We combine British style with European,American and Korea fashion well, and strive to make perfect blend of colors, materials and design. Hope you will like our work. No stretch in the material, mini length and comfortable fit, perfect for your swimwear collection. Perfect for diving, swimming, beach, sunbathe and etc. Get your boogie on at the beach in the hottest styles of men's swim gear. 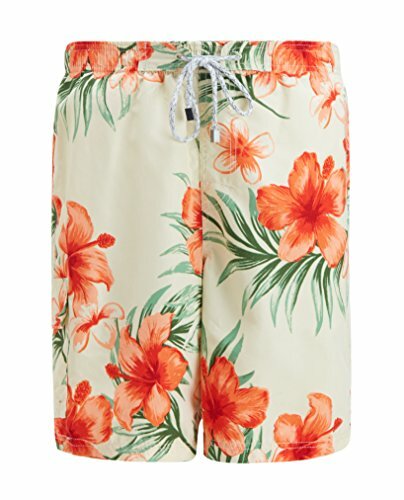 Whether you're taking on the waves or swimming laps at the pool, you're sure to find something that suits your style. Greet the summer sun in fashionable swimwear including the latest looks in swim bottoms. Check out classic patterns and unique prints for a cool modern look. 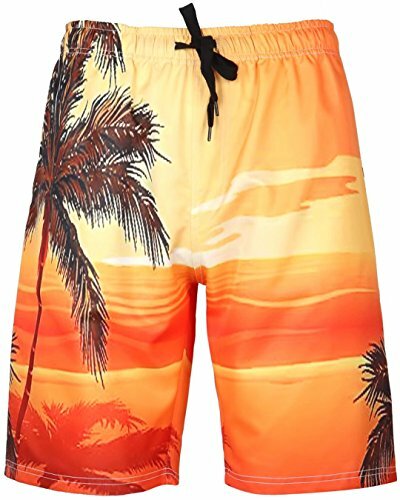 Find a wide variety of eye-catching prints for a making a statement on the shore. 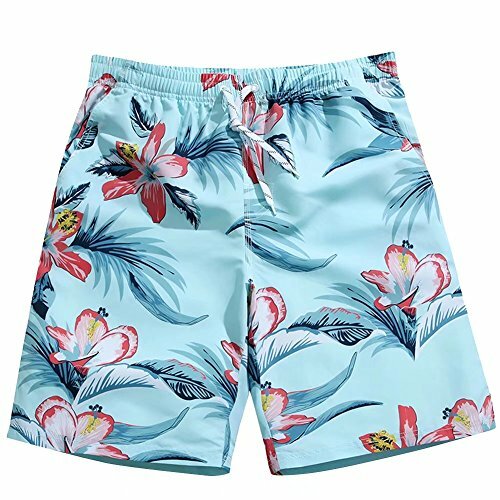 Hawaiian motifs and floral patterns will definitely speak to botanical lovers, while graphic prints bring a bright and upbeat fun. 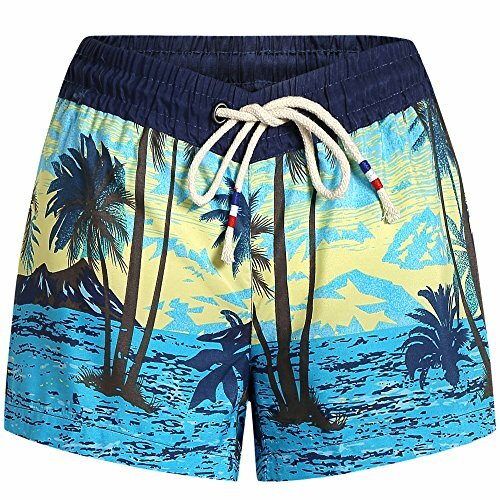 Elastic waistband & drawstring Hit the beach in style thanks to ICEbear's sporty above the knee swim trunks, featuring a drawstring and elastic waistband waist for a comfortable fit in or out of the water. Smooth Soft & Quick Dry Fabric Water-repelling woven quickly dries to keep you at your best throughout the day. Arguably world's fastest drying swimwear. Desigened to keep you dry all season long. 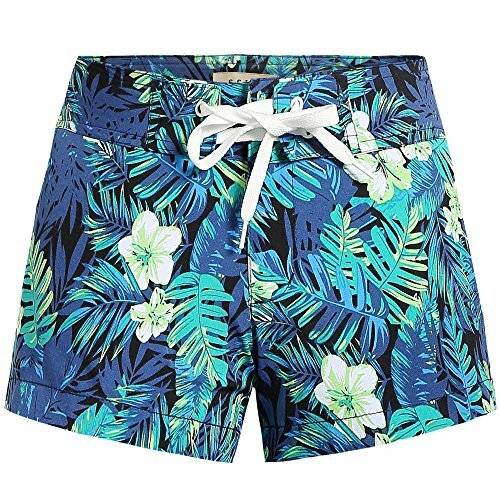 CARE OUR CUSTOMER THINK:Trifuness,taking perfect quality as its main principle,and providing fashion,elegant and comfortable products for America customers.We start our products creating by reviewing customers ideas,helping to make the board shorts more comfortable ,higher quality and longer lasting,last but not at least also with an affordable price.PRODUCT FEATURE:Perfect Board Shorts:Fashion tropical flower design,lightweight and soft quick dry bathing suit for your holiday.High Quality Fabric:Made out of premium cotton materials,durable and comfortable.Product Package:each piece of the swim trunk packed with a recycle package to protect the environment .FASTER AND GUARANTEE:All our products are fulfilled by Amazon,FREE return with no question ask if any unfitting. 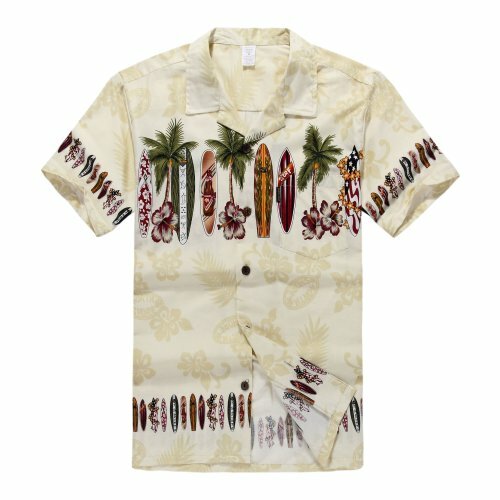 Looking for more Hawaiian Board similar ideas? Try to explore these searches: Jerky Naturals, Anna Griffin Cardstock, and Tie Dye Merchandise. 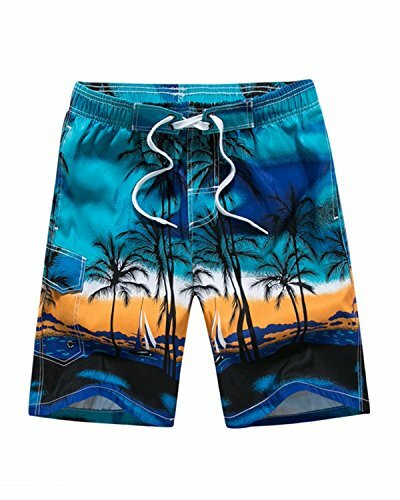 Shopwion.com is the smartest way for comparison shopping: compare prices from most trusted leading online stores for best Hawaiian Board, Acrylic Antique Sconce, Antique Coffee Table, Hawaiian Board . 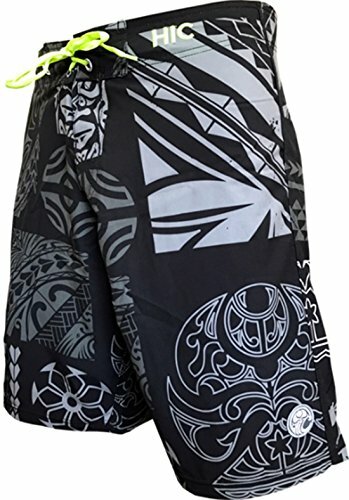 Don't miss this Hawaiian Board today, April 23, 2019 deals, updated daily.